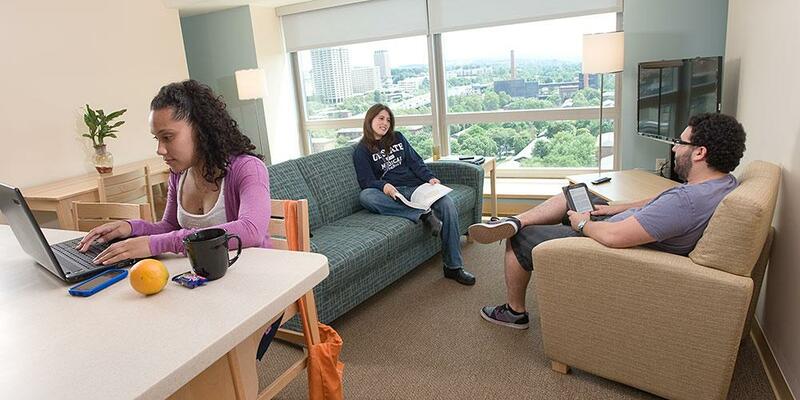 Geneva Tower provides housing to students from all four colleges at SUNY Upstate Medical University. Whether you are single or married, we can meet your needs. Each style is fully furnished and has access to the Internet. We also provide students with 24 hours a day washers & dryers, TV and recreational lounges. We will make every attempt to place applicants in their desired room/apartment type but this is subject to availability. Last Modified: May 21, 2018. Contact Chuck Simpson with questions about the content of this page.